A few posts ago, I mentioned that there were some stops that one just has to make on a road trip. 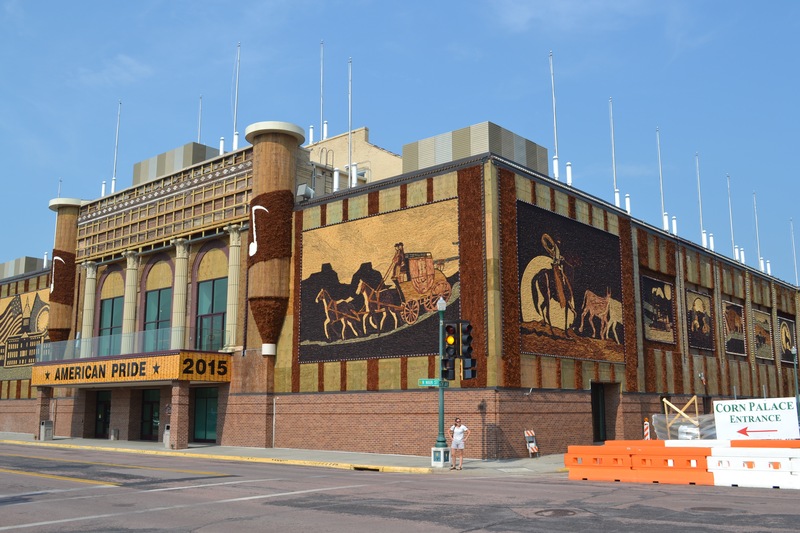 The Corn Palace in Mitchell, South Dakota is one such place. It was built in 1892 to showcase the rich soil of South Dakota and to promote one of the state’s most popular crops. Some 120+ years later, it still claims to be the only palace made of corn in the entire world–a dubious claim when one considers how popular corn must be as a building material. 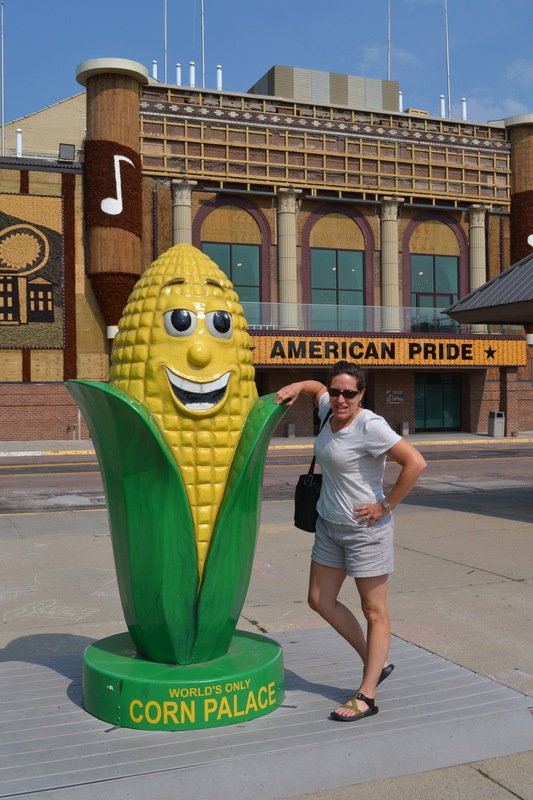 Ok, so the Corn Palace isn’t actually made of corn; it’s just decorated with it–and the decorations change every year. 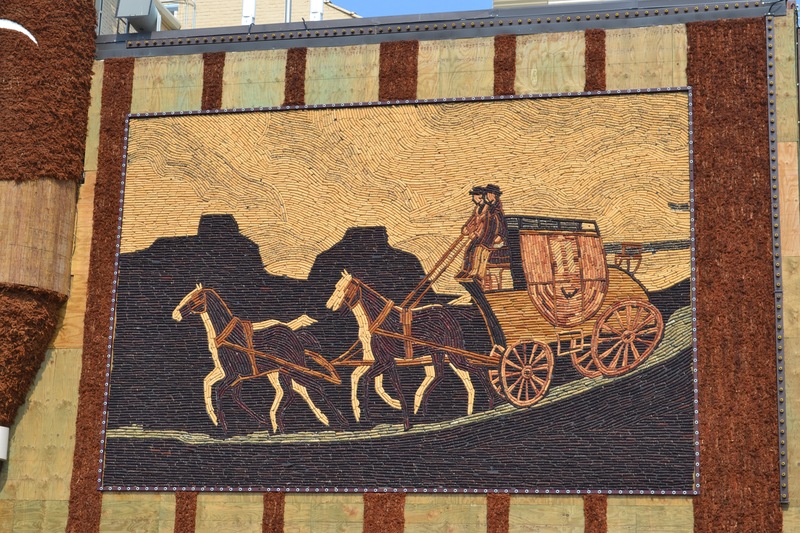 It’s only partially completed now–although it will be done in time for the Corn Palace Festival in late August. But even without the towers on top, it’s looking good, and it brought back more childhood memories. 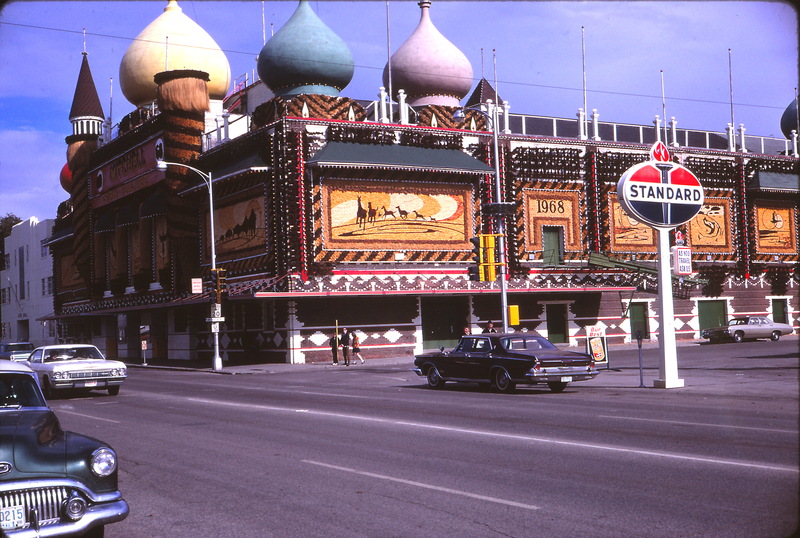 Here’s a look at the Corn Palace today versus 1968. In a fit of tourist fever, we bought some popping corn at the gift shop; I really hope we didn’t compromise the foundation.